Is he the Boston Bomber? 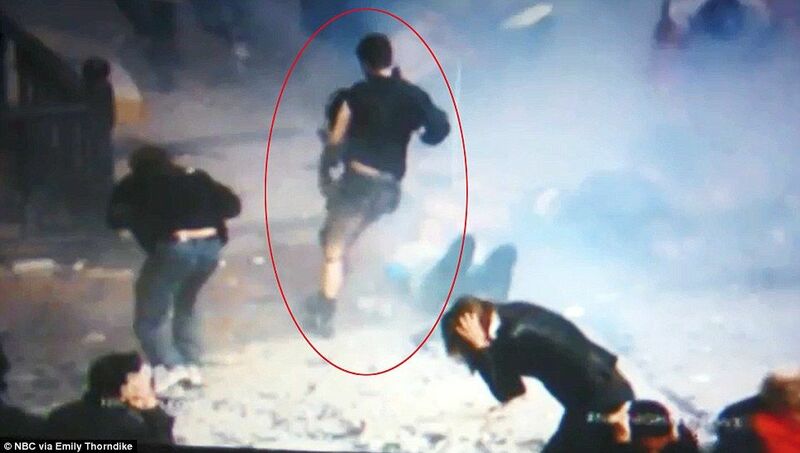 A footage obtained from the CCTV security cameras show a man in black outfit 'running' away from the scene of the blast while everyone else seems to be ducking down or taking cover. The unidentified man is also captured using his phone at the moment the first explosion detonated 100 yards away on Boylston Street on Monday and 12 seconds before the second blast close to where he is standing.